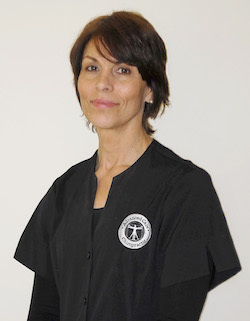 Darlene Izzo is a Pennsylvania Licensed Massage Therapist who joined Advanced Care Chiroparctic in September 2013. She has been as LMT for since 1996.Darlene is a caring team member who will work directly with our doctors to assist in our patients’ care. Darlene lives in Lewisburg and is married to James. Their family includes their son, Sam who attends Lewisburg Area High School. Darlene enjoys working with patients using reflexology and other techniques she has mastered over her past 20 years of experience. Her clients come back again and again because she gets the improvement they are looking for. Carly is a Nationally Certified massage therapist licensed in Pennsylvania. She has been licensed since 2009 as a licensed massage therapist, working primarily with athletes and generally active people. 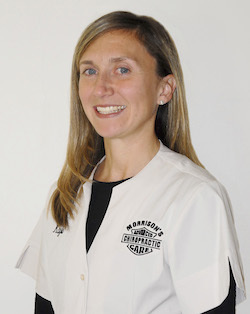 Carly served as the team massage therapist for the Harvard University Cross Country and Track & Field teams from 2009-2013 and for the Harvard University Men’s Soccer Team in 2012. Up until July 2013, Carly had a private office (Sheatock Sports Therapy) first in Arlington, MA and later in Cambridge, MA where she worked with many athletes from the Boston running community and Harvard University athletic teams. Carly joined our Advanced Care Chiropractic team in October 2013. Carly’s work focuses on preventative maintenance, injury rehab, and recovery from hard training to help athletes stay healthy throughout their competitive seasons and rebuild during the off-season. Sessions can be a general flush or focused to a few select problem areas. She works with the client to help them achieve their goals for health and wellness. We are use to getting lots of compliments on her excellent results. Give our Lewisburg Chiropractic office a call so we can help you take your first step towards better health. Rebekah joined Advanced Care Chiropractic in February 2015. After her first day in the office we received positive reviews from each client. We are excited to have her as part of our health care team.